Tone is a concept central to music, and the term is often used in conjunction with pitch. The primary distinction between the two is that pitch refers to the actual note sounded, such as G sharp, and tone most often refers to the quality of the sound. A singer or flautist can produce a perfectly pitched G sharp, but if the tone quality is poor, what results may sound dull or weak. However, tone is commonly used by musicians as a synonym for pitch. Tone is important to producing variation and quality in music. Anyone who has been to an opera can attest to the impact of tone on the feel or emotional quality of the music; the same is true of popular music. A song intended to convey happiness, for example, may be up-tempo, in a major key and use instrumentals with bright tonal attributes such as brass. The tone of the singer's voice may have energy and a light, upbeat quality. In instrumental music, the tone of a piece is often dictated by the written music. 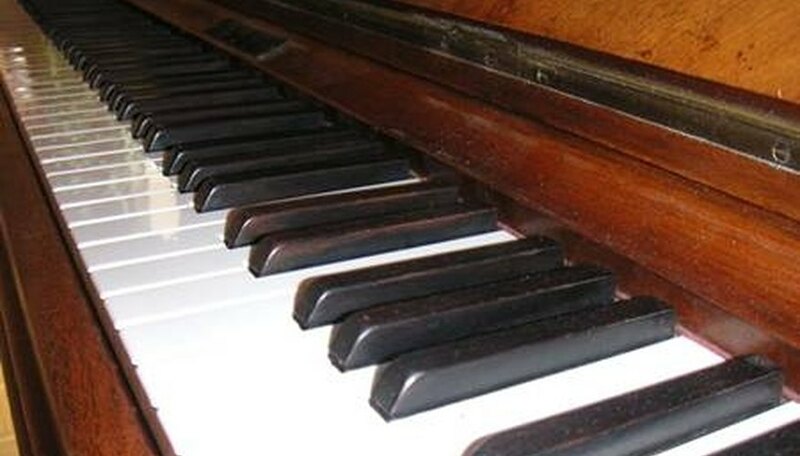 A piano piece such as a Chopin Nocturne, for instance, contains indicators as to how the music should be played, and sometimes the emotion it should evoke. For tone produced by a human voice, numerous factors can contribute to the tone quality besides musical indicators, such as the singer's technique, musical style and breathing. Partial tones comprise a certain pitch and consist of harmonics and overtones, as well as a fundamental tone (the root of a chord). Tone color and tone quality are used synonymously with timbre, a term that refers to the sound produced by an instrument or voice that distinguishes it from other instruments or voices. Tonality refers to a system of related pitches built around a tonal center or a tonic (the note occurring first in a scale). Overtones and fundamental tones are often produced in unison. Overtones are often referred to as harmonics and are higher in frequency, and therefore can be heard as distinct from other tones played at the same time. Fundamental tones generate harmonics and are the lowest frequency tones. Arnold Schoenberg was a traditionalist composer who revisited the concept of tone in the 1920s and developed the 12-tone scale, a system wherein all 12 pitches in an octave are used in a determined order. The diatonic scale is a 7-note scale containing 7 modes, or different arrangements of tones. According to music theorist Andrew Milne, only 2---the Ionian and Aeolian modes, commonly used as the major and minor scales respectively---are effective in the tonal harmonic system. What Are the Seven Elements of Music? What Are Motifs in Music?